Homeschool.com’s Top Back to Homeschool Resources – Chosen just for YOU! Over the last month, Homeschool.com staff have researched different homeschooling products, curriculum, websites, and fun books, to come up with Homeschool.com’s Top Back to Homeschool Resources. Please take a moment to review the chosen companies (listed alphabetically below)—as they’ve been named the best of the best! We’re sure you’ll see many you’d like to incorporate into your homeschooling efforts this year. There’s something for everyone. A big congratulations to the companies named the Top Back to Homeschool Resources of 2016! 7 Generation Games creates video games that combine math, history and adventure gaming. Students can play adventure games and improve test scores. The company also provides supplemental resources on both math and Native American culture for educators, which include movies, PowerPoint presentations, vetted links, curated historical photos, clip art and more. Your children (and your entire family) can improve your reading (and your overall general knowledge) with AceReader. The program helps students break the barrier of reading one word at a time so they can get through more material in less time with good comprehension. Students often discover after using AceReader that reading no longer feels like work – that reading can be fun. With 13 levels to choose from, it’s ideal for everyone in the family. AceReader has been used by K12 schools, community colleges, the military, and homeschools for over a decade. You can try the AceReader Family Edition and save 10% with promo code HS0716. American Learning Library is the Elementary and Middle School division of Atlantic Europe Publishing. They have produced and published highly illustrated, full-color text books and reference books for schools and libraries throughout the world for nearly 30 years. There are a ton of homeschooling resources including 800+ Elementary/Middle School information and (text)books, 1000’s of teacher’s resources and multimedia/video options as well as a special dedicated section with books and resources on every state. You can see sample books and download their brochure on the home page. You can use the search information for free (you simply have to register), and move on to a subscription for 10¢ a day if and when you are ready. The Activate program by C8 Sciences helps children increase focus, self-control, and memory, leading to improved math and reading achievement. The program utilizes neuroscience-based computer games along with physical exercises the whole family can enjoy. The program measures and improves working memory, self-control, sustained attention and other Executive Function skills needed for daily life and to succeed in academics. 35+ books, 100+ awards, and 3,000+ online reviews of her works! 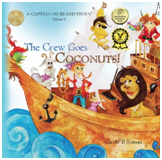 Carole is the author of the Captain No Beard series and the If You Were Me And Lived In…..Country series, in addition to other fine books (Can A Princess Be A Firefighter, Whaley’s Big Adventure, and more). Captain No Beard tackles problems on the high seas and dispenses a gentle lesson at the same time. 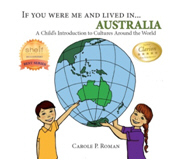 Her non-fiction series is an introduction to customs and culture all over the world for children ages 4-8, and her newest series If You Were Me And Lived In….History brings history alive for students ages 8-14. The purpose of the books are to demystify history and people around the world. CK-12 is a nonprofit organization that provides FREE, high-quality K-12 STEM education materials, all aligned to state standards. These resources include digital textbooks, videos, concept-based learning resources, simulations, adaptive practice and more. They can be ported to any device, anytime, anywhere. Again, it’s 100% FREE. Learning to code is now child’s play! That’s because codeSpark Academy offers an app that teaches kids ages 5-9 the fundamentals of computer science. Kids can then take the concepts they learn to code their own games in the app’s game creator. You can download their free 10 lesson computer science curriculum here. College Prep Genius provides an eCourse on how to ace the SAT. The course is 12 lessons and it can be used as an elective on your student’s high school transcript. 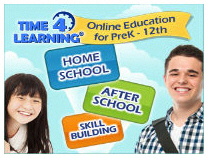 Each lesson is 45-60 minutes with a complete step by step homework guide. Students have raised their test scores as much as 600 points, become National Merit Scholars and gone to Ivy-League colleges for free. 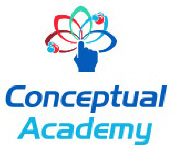 Connections Academy is an accredited provider of high-quality online schooling for grades K–12. Through tuition-free online public schools and full-time and part-time private school programs, Connections Academy delivers individualized, flexible education so your students can learn from anywhere. Earthschooling is a secular Waldorf curriculum that is a complete but flexible educational curriculum based on learning from nature, real-life experience, natural rhythms, hands-on activities, storytelling, painting and handwork with natural fibers. You can use online, or you can choose to download and print materials. Once a week meetings with a certified teacher are included. You can learn more about the program here, and download a brochure here. Education Creations offers Pre-K to 6th Grade, spiraling yearly sets of Morning Math, Daily Language, Daily Work, and Daily Writing, plus single skills for math, language, reading, phonics, and more! They even offer classroom decorations. You may request a free no obligation free trial by sending a request to [email protected]. Put “FREE TRIAL” in the subject line. 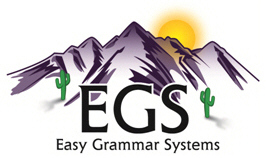 GeoMatters is the publisher of educational materials that make learning come naturally. They produce a complete curriculum, entitled the Trail Guide to Learning series, that ties every subject but math together in a meaningful and engaging way. They also offer geography curriculums, maps, readers, history resources, educational cookbooks and more! 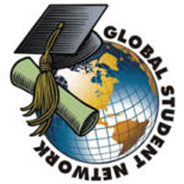 Global Student Network offers fully accredited K-12 online curriculum – you can choose from 7 full curriculum programs. They also offer Honors courses, ACT/SAT prep, and Career & Technical Education. GSN choices include: Plato, Accelerate, GradPoint, Apex Learning, A+ Courseware, Odysseyware, Ignitia (Christian), and more. These options fit all learning styles, interests and needs and everything is under one roof. Global Student Network has served thousands of families worldwide since 2004. 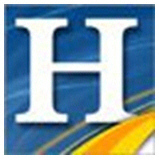 Harrisville Designs is a small, family owned and operated business specializing in the design and creation of children’s fiber arts craft products. They offer premium quality, Made in America products including fun potholder kits as well as traditional knitting, weaving and felting projects. Homeschool Complete offers an all-inclusive curriculum for K-1st graders, which has a Biblical worldview. The curriculum integrates all subject areas within thematic units. 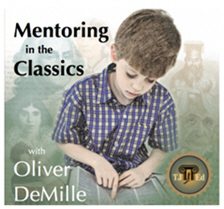 These thematic units appeal to children and provide activities for all learning styles. 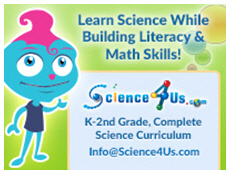 The company offers curriculum, curriculum bundles, flashcards and more. Plus, the curriculum was developed by a homeschooler. 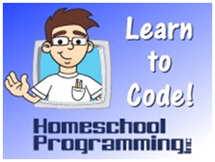 Homeschool Programming offers self-study computer programming and digital literacy courses for homeschool students! Your student can learn to code, create websites, games and apps, or become more comfortable with important computer-usage skills. No teacher expertise required. The Hooked on Phonics Learn to Read program was developed and designed for children of all needs, whether just learning to read, struggling to read or simply wanting to become more proficient readers. The program uses interactive games, engaging stories and videos, creative play, and an awards system to make learning to read a fun experience. The Hooked on Phonics system fully synchronizes with your computer, tablet, or phone, making it usable anywhere, on any device. You can try it now. 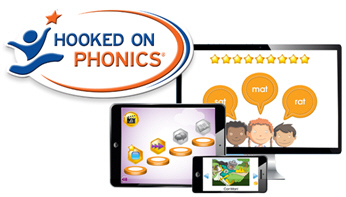 With Hooked on Phonics, your child will learn to read, guaranteed! 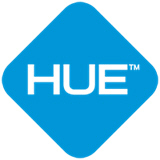 HUE HD provides colorful, affordable technology to inspire creative learning and teaching. You can shop their cameras, software and MORE here. iLs is a natural, medication-free program that incorporates music, fun activities and language to integrate brain function for attention and learning. iLs trains for brain/body integration through a staged approach, starting with the fundamentals of sensory integration and then extending through more complex cognitive functions, including language, self-expression and social skills. iLs has been used in some of the top clinics in the world, and it is now available for homeschool use. IEW equips homeschooling parents with the methods and materials to train their students to become confident and competent communicators and thinkers. Using the four language arts—listening, speaking, reading, and writing—IEW methods work for students of all ages and levels of ability, including those who are gifted, have special needs, or are English language learners. The Keystone School offers flexible education programs for K-12 students. Whether your student wants to study full-time or just needs individual classes, they offer more than 170 courses from credit recovery to world languages and AP. Students can enroll at any time. Learning Advantage offers a variety of hands-on teaching aids and educational products (games, toys, manipulatives and more). Based on the concept of learning by doing, sensing, and feeling, their products complement various learning styles and are designed for grades Pre-K to adult. You can check out their many products here. The company offer free shipping on orders over $75.00 to the contiguous U.S. and you can join their e-mail list for sale notices and special offers. Learning Technic’s Physio-Neuro Therapy helps reprogram the brain, allowing students with all types of learning difficulties learn and enjoy learning. It helps “problem learners” improve their basic ability to learn. For sample tests that can be conducted at home to help determine if your child has neuro-processing weaknesses, click here. You can download their free e-book, When Bright Kids Can’s Learn here. M is for Monster makes preschool a breeze. That’s because the company delivers preschool curriculum and materials to your door every month. Now you can play with your child and foster a love of learning WITHOUT stressing out about curriculum and whether you have enough glue! Plus, your child will love the activities! You can read reviews here. You can sign up now and save $15 off your first order of $40 or more, and you can join their Monster Club for ongoing savings and news. Math-Aids.Com is a free resource for homeschoolers, students, parents, and teachers. 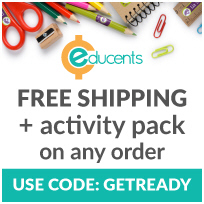 The site contains over 100 different math topics with over 1,200 unique math worksheet generators covering Kindergarten through 12th grade. These generators allow you to customize and create an unlimited number of PDF printable math worksheets to your specifications instantly. You can print them immediately or save them for later use. NextLesson helps connect learning to the real world – thus making learning more relevant and fun. The company offers over 10,000 K—12 resources on topics that students care about. 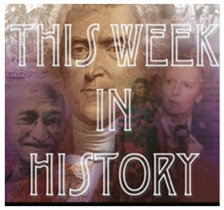 These topics include sports, movies, books, technology, and more. The lessons are aligned to state standards. 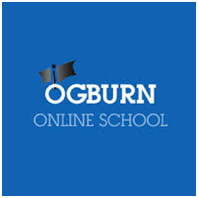 The Ogburn Online School is a premier accredited online home school, offering individualized curriculum. Their online homeschooling curriculum ensures that each student has access to a top quality education at home and helps them to achieve their goals in a safe environment. 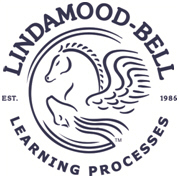 This school offers online elementary school, online middle school and online high school programs. Visit http://www.ogburnonlineschool.com for more information. Pioneer Drama Service offers over 1,000 wholesome plays – perfect for homeschoolers, homeschool co-ops, community groups, church groups, and more. Pioneer’s script prices and affordable royalty fees give homeschool groups the opportunity to put on a production that will bring their community together – and make for a true creative learning experience. Reading Kingdom is an online program that teaches children 4-10 to read and write with comprehension at a 3rd grade level. It is the only program available that uses the Six Skill Integrated Method. They offer a 30 day free trial and you can visit their store here. sofatutor provides Algebra 1 video lessons. The lessons explain complex topics in an easy-to-understand way, using storytelling to keep students engaged. Each video lesson is accompanied by interactive practice problems and comprehensive worksheets, and teachers answer questions via Homework Chat. sofatutor empowers students by providing them tools to take control of their own learning. Launched in Spring 2016, sofatutor.com will soon expand to include a full curriculum. 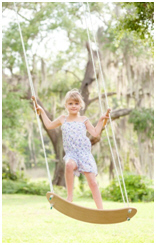 Swurfer reinvents the tree swing with its handcrafted Swingboards™ engineered for surfing the air. Swurfer’s unique curved shape allows you to sit or stand – providing more moves, more range of motion, and more fun. Here is a great video of the product – https://vimeo.com/169859065. 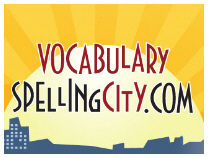 Great for a homeschooling PE activity – or misc. breaks throughout the day. 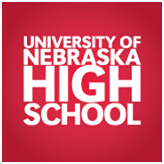 The University of Nebraska High School offers online courses for homeschool students. You can use the courses to supplement your existing program or your child can complete their diploma program, UNHS fits into your student’s schedule as the courses are self-paced and your student can enroll any time of the year. 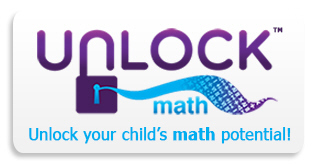 UnLock Math offers Pre-Algebra, Algebra I & Algebra II online Math curriculum (Geometry, Pre-Calculus & Calculus will be added soon). Each course offers engaging video instruction; interactive, adaptive and automatically graded questions; unlimited practice and review; reference notes, progress reports, and more. You can start with a free demo lesson, a free trial or you can sign up today. Virtual Image Speech and Language Services is an online company that offers home-based speech therapy services for individuals with speech and language delays. Experienced and highly trained Speech Language Pathologists offer evaluations and therapy in the following areas: articulation, receptive and expressive language, fluency, pragmatic and social language disorders. Virtual Image Speech and Language Services eliminates the barriers involved with finding quality therapists outside of the home. 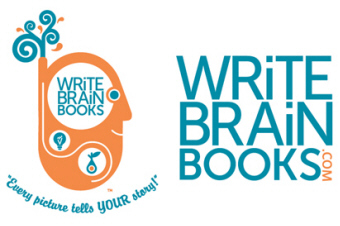 WRiTE BRAiN BOOKS is a great supplement to any writing program or curriculum. 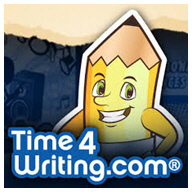 This unique writing experience is delivered through inspired writing activities and high-quality materials, including beautifully illustrated, wordless books that invite students to interpret the images and tell their own stories. With WRiTE BRAiN BOOKS, every student becomes a published author of his or her own children’s books, receiving professionally printed and bound copies of every book they enter into the company’s online Book Builder. Watch as your students’ creativity is ignited, their confidence is boosted, and their writing skills grow by leaps and bounds.